Thanks to our extensive experience of highly competitive industrial environments, GESCRAP has developed a self-contained management system. This system is applied to the requests of each and every one of our valued clients, adapting in each case to the specific needs of the customer and guaranteeing a service which is second to none. 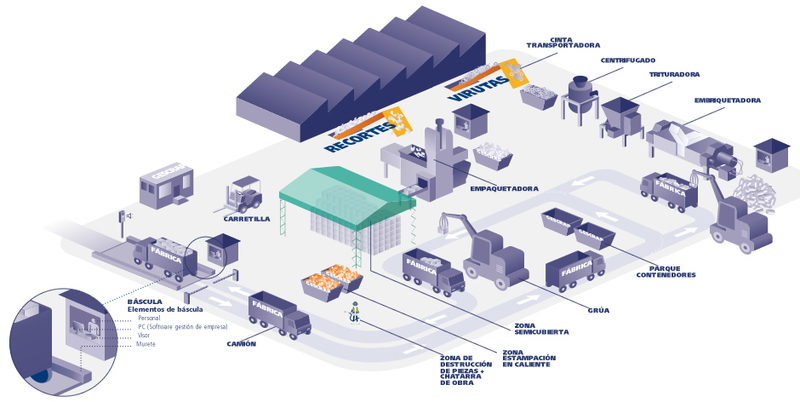 Specific processes which are incorporated within this management system include; segregation of aluminium, recovery of hot stamping and swarf integrated management amongs others.